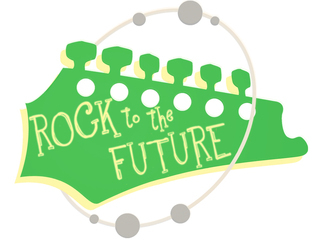 With your support over the years, Rock to the Future has grown from providing music education for 13 students in a single after school program to impacting over 350 Philadelphia youth annually through our MusiCore after school program, musical summer camp, and in-school MobileMusic workshops. Because of amazing supporters like you, we have been able to keep all of our programs 100% free for youth who generally wouldn’t have music education due to budget cuts and family financial circumstances. Together we are making a difference. One of those students is recent MusiCore alum Destinee, who has been with Rock to the Future since our inaugural year. Like many students at RTTF, Destinee has faced many obstacles, such as bullying and family issues, that could have easily derailed her dreams of graduating high school and attending college. It is because of supporters like you that Rock to the Future was able to intervene with Destinee to keep her on track and help her realize her dreams. As staff helped send her off to Penn State York this August for her freshman year of college, Destinee declared, "I never thought I would make it this far." For Destinee and students like her, the opportunity to learn to read, write, and perform music at Rock to the Future is life-changing. In addition to music education, students across all Rock to the Future programs receive access to a brighter future. We are looking forward to even more success stories this year and are excited to be helping additional youth and families. But we need YOUR support to continue growing; we have dozens of students on our waiting lists. Will you give the gift of music to an underserved student like Destinee by supporting Rock to the Future today? Your donation will put an instrument directly into the hands of a child who will use that creative outlet to grow in ways he or she couldn’t have imagined before. Thank you for your support! Give the Gift of Music in a friend or family members' name & we will send you a certificate to include in their holiday card, letting them know you donated on their behalf! Give the Gift of Music in a friend or family members' name & we will send you 5 certificates to include in their holiday cards, letting them know you donated on their behalf! Give the Gift of Music in a friend or family members' name & we will send you 10 certificates to include in their holiday cards, letting them know you donated on their behalf! Plus a Rock to the Future t-shirt and a hand drawn thank you note from one of our students. Our talented student musicians will cover any (family-friendly!) song of your choice and record a video dedicating the song to you or a friend as a gift! Plus you'll get a limited edition RTTF t-shirt, tote bag, and a hand drawn thank you note. You and 4 friends will have a once in a lifetime experience as you form your own band for a day at Rock to the Future! Donate at this level and schedule an exclusive experience where you and 4 friends will spend a day at RTTF receiving individual lessons on the instrument of your choice: electric guitar, bass guitar, keyboard or drums. Your group will then receive songwriting and composition help from our skilled instructors culminating in a performance of your favorite original and cover music! As we begin our sixth year at Rock to the Future, I am amazed by what we’ve been able to achieve in such a short time, and I wantedto say thank you for your part in our success. With your support over the years, RTTF has grown from providing music educationto 13 students in a single after school program to impacting to over 350 Philadelphia youth annually through our MusiCore afterschool program, musical summer camp, and in-school MobileMusic workshops. Because of amazing supporters like you, we havebeen able to keep all of our programs 100% free for youth who generally wouldn’t have music education due to budget cuts andfamily financial circumstances. Together we are making a difference.  RTTF students are improving academically - for instance, 81% of students who stay in our MusiCore program for 2years or more maintain a B average, and 91% are reading at grade level.  RTTF expanded programming to reach 120 additional youth with our new MobileMusic program, which currentlyprovides electric guitar and music theory workshops in two Philadelphia School District schools and counting!  Currently 100% of students who complete MusiCore graduate from high school and continue to post secondaryinstitutions. For Destinee and students like her, the opportunity to learn to read, write, and perform music at Rock to the Future is life-changing.In addition to music education, students across all Rock to the Future programs recieve access to a brighter future. We are looking forward to even more success stories this year and are excited to be helping additional youth and families. But weneed YOUR support to continue growing; we have dozens of students on our waiting lists. 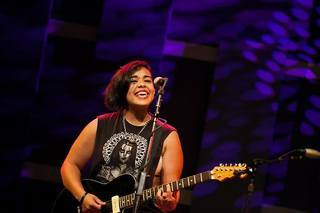 Will you give the gift of music to anunderserved student like Destinee by supporting Rock to the Future today? Your donation will put an instrument directly into thehands of a child who will use that creative outlet to grow in ways they couldn’t have imagined before. Thank you for your support!